Many paintings of Seventeenth Century Netherlandish life often depict scenes with music. Though not well known, composers of The Netherlands did write some wonderful music. Through our associate program with CD NOW you may obtain sounds from this period. An excellent collection of seventeenth century music from The Netherlands. over one hour of music. "The Golden Age" of The Netherlands. 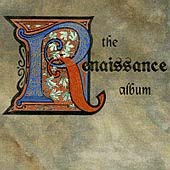 An incredible collection of music from The Renaissance. This album has a particularly"vernacular" feel which adds immeasurably to the realism of the music. Of particular interest, a rendition of a popular tavern"bawdy song" performed beautifully by one of today's well known pop performers. The Virginals , or harpsichord, figures promininetly in scenes of daily life as presented by "The Dutch Masters." This recording presents the music.